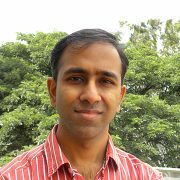 I am a member of Machine Learning and Optimization, and Algorithms and Modeling Research Group at Microsoft Research, Bangalore, India. My research interests are in machine learning, statistical learning theory, and optimization algorithms in general. I am also interested in applications of machine learning to privacy, computer vision, text mining and natural language processing. Earlier, I completed my PhD at the University of Texas at Austin under Prof. Inderjit S. Dhillon.